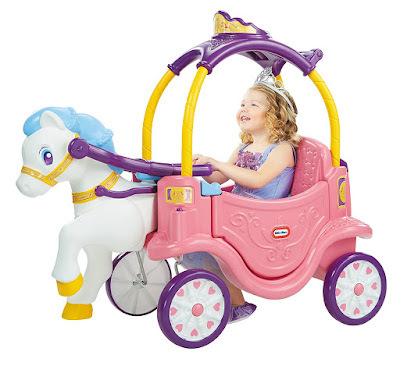 Head on over to score the highly rated Little Tikes Princess Horse and Carriage for just $77 shipped (Retail $109.99). This super cute ride on toy is perfect for kids ages 12 months up to five years and 50 pounds. You can easily pull it along for a walk with the extended reins or push along with the roof handle. It features a removable floor board to protect your little ones feet while being pulled.